Why should I order through Blue Aura Computers instead of a larger company like Dell? There is a lot of competition in the custom computer market, a lot of companies anxious to get your business. What we offer over the competition is a "personalized" shopping experience. What does that entail? For starters, if you call us to ask a technical question you will be speaking directly to the technicians that will be building your new system and not some "customer service" employee with little or no training. Since we are a small business with lower volume we can take the extra time to get everything right with your order. This is our main strength over the competition. Most, if not all of the companies you'll encounter online deal with high volume - lots of customers, hundreds of sales per month and little patience with their most important asset - you the customer. We'll stop at nothing to make sure you are 100% satisfied with your order. Additionally, we do not spend thousands of dollars a month advertising in magazines, radio & television. All those advertising costs get passed directly to the consumer in the form of higher prices on their products. Since our cost overhead is so incredibly low, we can provide the best prices in the industry. Most importantly, our computers are specifically tailored to fit our customers needs, each system is built to the customers specifications exactly for what the customer needs it for. In our opinion, a big company like Dell can't offer that level of customization. We always work directly with our customers to give them what they need. Some sites sell overclocked Core i5 Processors to save money over the Core i7 models, is this better? No, this is not better. An overclocked Core i5 processor might seem to make sense and save you some money over the i7 models, but you are losing out on Hyper-Threading. Intel Hyper-Threading Technology (Intel HT Technology) uses processor resources more efficiently, enabling multiple threads to run on each core. As a performance feature, Intel HT Technology also increases processor throughput, improving overall performance on threaded software. Even if an individual application does not benefit from Hyper-Threading the operating system will benefit by maintaining system responsiveness whith multiple applications open. With the relatively small difference in price between most core i5 and i7 models it makes sense to just go with the i7. 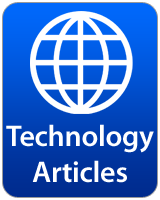 Most games and applications are increasingly supporting multi-core processors and will benefit from HT. 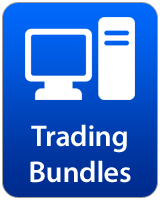 "TradeStation's new multi-core chart analysis is designed to take full advantage of your PCs processing power. Distributing power across multiple CPU cores allows your computer to handle even the most complex real-time chart analysis tasks faster than ever, while ensuring greater stability during times of extreme market volatility or data spikes." Yes, if you checkout via PayPal you will be offered the "PayPal Credit" option. PayPal allows customers to apply for credit through this program. By using PayPal Credit you can purchase a computer system from us and make monthly payments. If you set up a new PayPal account, or if you already have one, you may apply for financing through PayPal Credit. Keep in mind that this program is not offered to everyone, credit approval is required and it usually only takes seconds to see if you are approved. Click the banner below to learn more. At this time, we only ship to customers in the United States and Canada. Canadian customers should read the "Order Processing to Canada" section on the warranty page. Also we have an International Shipping to Canada page. Shipping is always 100% free via UPS Ground! After I place my order how long will it take to receive my system? We made a separte page for this. Click here to view our shipping & order processing page. What is your testing and "burn-in" process? "Burn-In" is a testing process in which the components of a computer system are exercised and stressed to determine which components are prone to failure. Our goal is to ensure any component that has been damaged or has hidden manufacturing defects is found and replaced. Our experience has shown component failure to be rare, and if it does happen it usually happens sooner rather than later. Most components that fail do so within the first day or two of usage, so extensive stress testing becomes very important in our process to deliver a quality & dependable product. So how do we test? First, we use a very common software tool called memtest86. Memtest86 works by methodically checking all sections of system memory for errors. We don't settle for simply running memtest86 for a few hours. The systems we build run memtest86 for an entire night to allow several passes over the memory modules to ensure they are 100% rock-solid for the customer. The testing doesn't end there - 3DMark Vantage is used to stress test the CPU & Video Card. We use only the newest and most reliable testing methods available. 3DMark Vantage is the new industry standard PC gaming performance benchmark from Futuremark. It includes two new graphics tests, two new CPU tests, several new feature tests, and support for the latest hardware. All throughout this testing, we continuously monitor system temperatures & voltage levels. Most companies would stop after this level of testing - we take it several steps further. We believe real-world testing is important as well. Several game demos & test software will be installed and tested (& removed prior to shipment.) We also physically test the optical drives for proper functionality as well as any other component the customer configured in their build. Every single port on the system is tested as well. The bottom line - we go above and beyond to deliver a 100% stable system! We accept all major credit cards, bank transfers & cashiers checks. We do not store any customer payment information - all payments are processed through PayPal Checkout and the details such as credit card numbers and bank account numbers remain confidential. Alternatively, customers can mail payment to us in the form of a Certified Bank Cashiers Check or Personal Check. Certified Bank Cashiers Checks can easily be obtained through any bank. We do not accept money orders. How do you package your systems? Our packaging methods are far superior than that of our competition, in fact we don't know of any company that packages their products in quite the same manner as we do. All systems are double boxed & electrostatically packaged to prevent electrostatic discharge (ESD) from damaging the system during shipment. ESD is a big problem when shipping electronics, particularly computers. Interestingly, most computer companies do not package their systems to protect against electrostatic discharge. In fact, we don't know of any computer companies that actually wrap the ENTIRE system in anti-static packaging as we do. It seems like a no-brainer to us. ESD is a serious issue in electronics, because integrated circuits are made from semiconductor materials such as silicon and insulating materials such as silicon dioxide, which can break down if exposed to high voltages. Your system will arrive fully wrapped in high quality static shielding - this will prevent any ESD issues during shipment. Click here to see a picture of a system wrapped in our anti-static packaging. On systems that contain heavier video cards and heatsinks we also use an expanding foam product that fills in the dead air space "inside" the computer system. This prevents the heavier components from moving during shipping, the foam completely molds itself to the interior space, and removal is quick and easy. Log in then go to your "My Account" page. Under your account page click on the "Order Status/History" link. You will then see a list of all the orders you've placed with us, clicking on the order number will display all information on that order. There are 3 key pieces of information here regarding the status. First, the "Payment Status" will show either "PENDING" or "CHARGED". We do not proceed with an order until the payment status shows CHARGED. Next, the "Order Status" will show either "PROCESSING", "TESTING" or "SHIPPED". If your system has shipped, the relavent tracking information will be displayed, along with a tracking link. If you need to make any changes it's best to call us the same business day you place the order. Please call us at (920)-344-5642. It's best to call us directly instead of sending an email so we can discuss the options you need changed and any pricing adjustments resulting from the changes. Since we work so hard to get these systems out quickly, please don't wait 2 or 3 days after placing your order to call and make changes, it will most likely be too late. The sooner you contact us the better. We are located in southeastern Wisconsin, near the Milwaukee/Madison area. Many computer companies are located either on the east or west coasts of the US. Our more centralized location gives us a huge shipping advantage over these companies. Whether the shipment is going to Florida, California, New York or any of the lower 48 states - our location gives all our customers ultra-fast transit times with both UPS & FedEx. There are so many systems and components to select from, what should I buy? Every customer that visits our website has a different level of knowledge and experience with computers. One of the biggest challenges we have as a custom computer builder is presenting our products in an understandable way. Customers with a high level of computer knowledge will easily be able to configure a system the way they need it with our system configuration forms. We understand for some customers that don't eat and breathe this technology the large number of components and options can be confusing. Let us say first that we are always here to help! Please feel free to call anytime at (920)-344-5642. We've put an immense amount of time and effort into the parts we select and the specific combination of parts you'll find in a particular system. We would never list, lets say, a DDR4 Motherboard and also list DDR3 memory for that system in the same configuration form. A choice like that would indeed be confusing for customers and we've thought through all of these types of compatibility decisions. So feel confident that the parts you are selecting will all be compatible and "play nice" with each other. 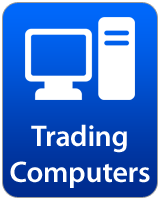 We have 2 types of system categories - "Gaming Computers" & "Trading Computers". Our "Trading Computers" are primarily for people that want multi-monitor setups (such as 4 to 12 monitor arrays for stock trading.) If you are looking for a computer that can do everything, such as gaming, audio editing, video editing, email, internet and office software (and much, much more) then we suggest going straight to our "Gaming Computers" section. Please don't hesitate to call or email if you have any questions! I am having problems viewing your site, what do you suggest? 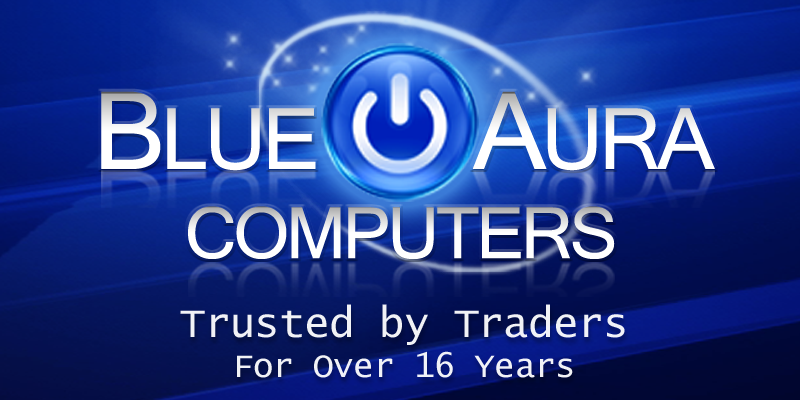 Copyright © 2003-2019 Blue Aura Computers (blueauracomputers.com) All Rights Reserved. No part of this website may be copied or reproduced without the express written consent of Blue Aura Computers. 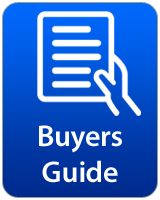 All other trademarked images or logos displayed on blueauracomputers.com are acknowledged as being the property of their respective owners.